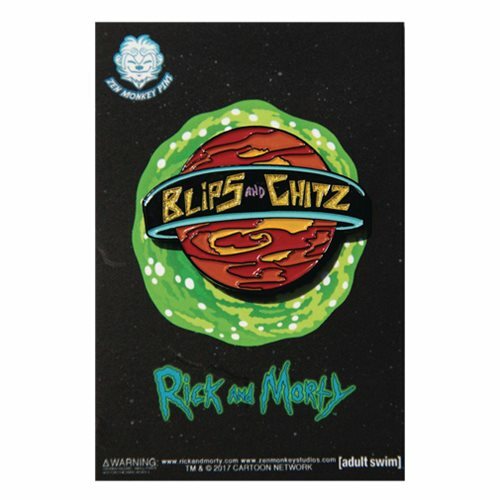 Add the characters of the animated series Rick and Morty to your attire with this Blips and Chitz Lapel Pin! The pin measures roughly 1 1/2-inches tall. Ages 13 and up.